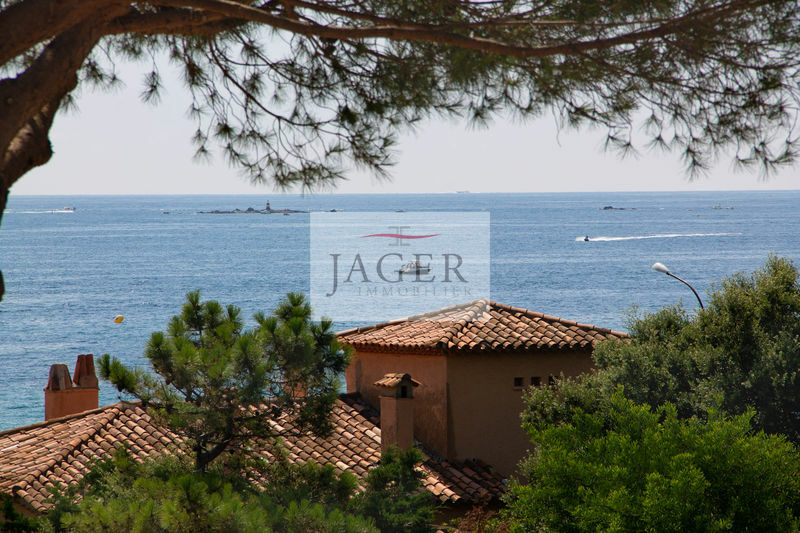 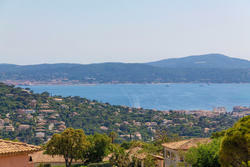 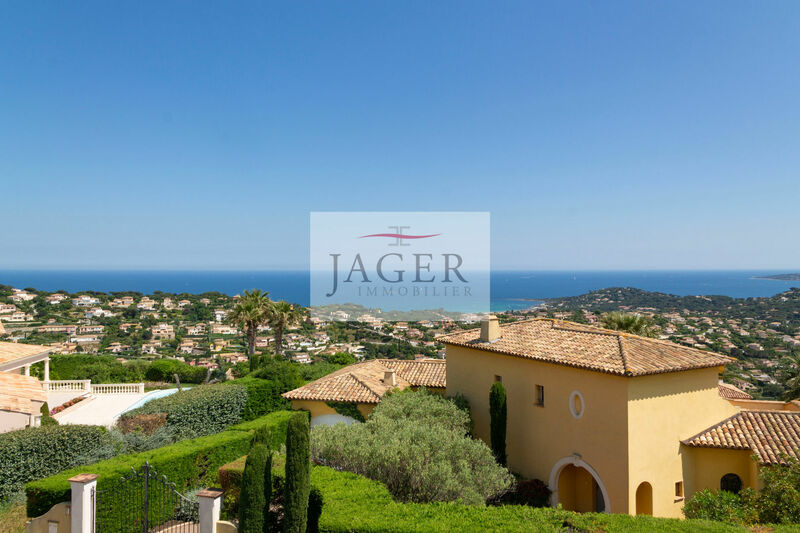 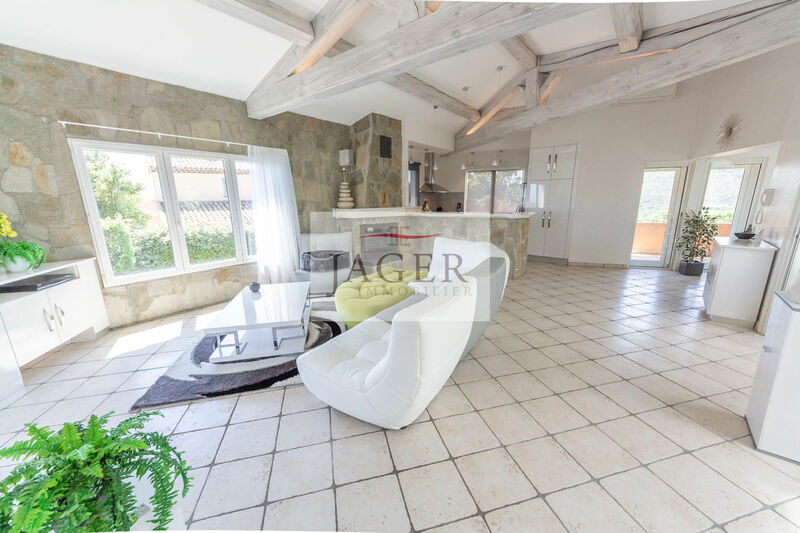 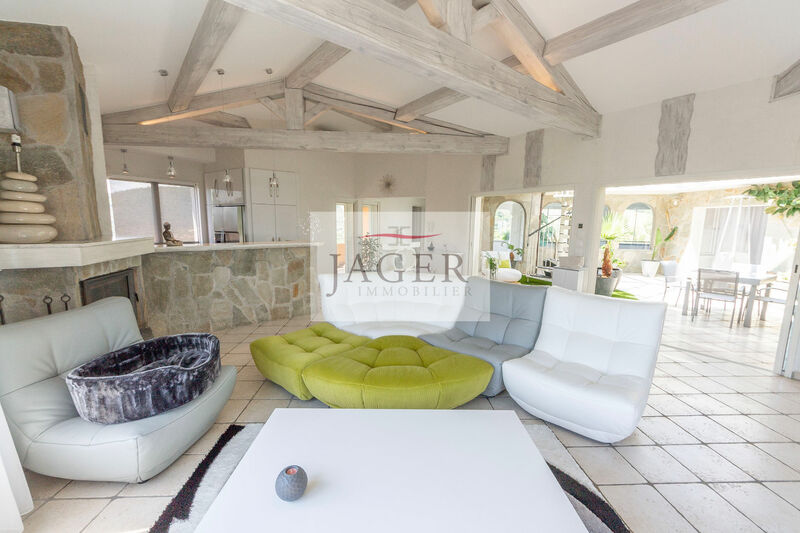 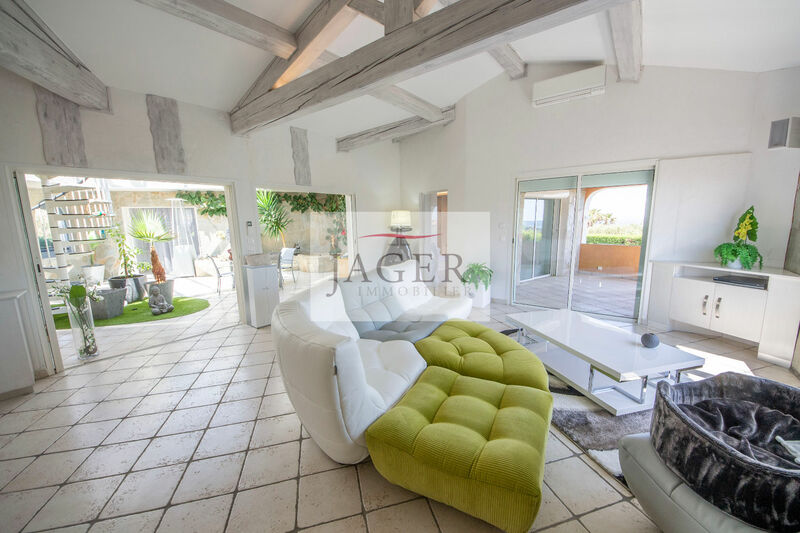 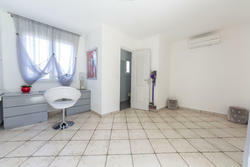 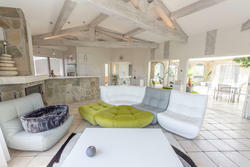 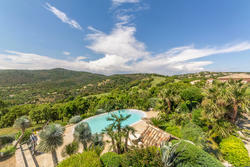 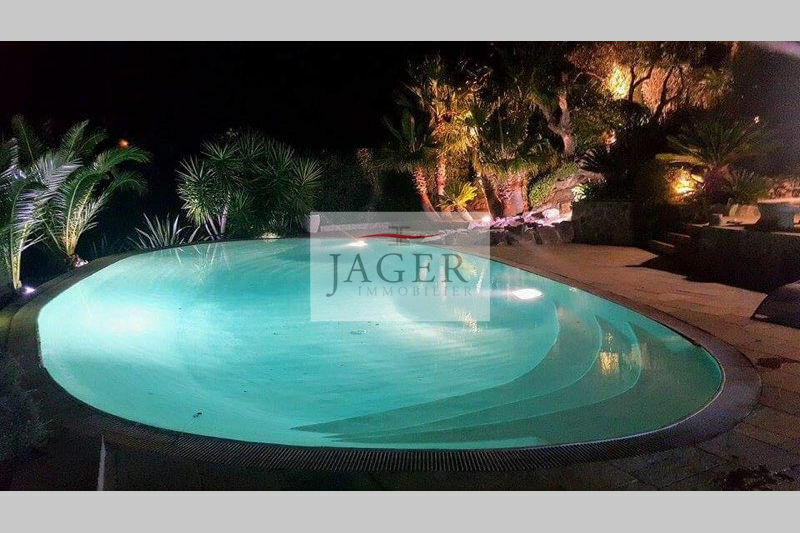 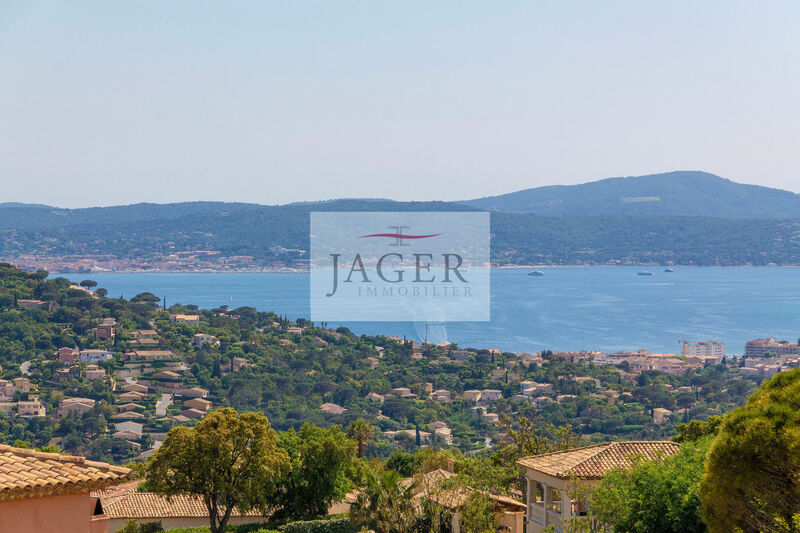 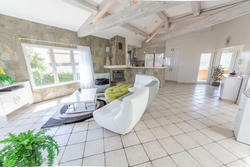 on the heights of golf sainte-maxime, villa of atypical architecture with a 360 ° view of the sea, hills and greens. 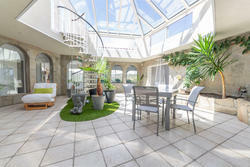 patio under glass roof, solarium. 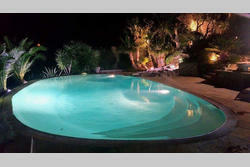 large freeform mirror pool with waterfall, indoor pool.